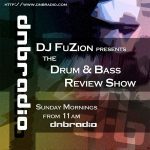 If you’re a regular listener of the Drum & Bass review show, you’ll know about this already. If not, it’s time to catch up. 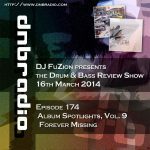 This weeks show has spotlighted Missing Links releases -as well as a couple of sneaky unreleased pieces- from Starski as well as the stunning debut album from Seba, Return to Forever. Listen through the show for details of free download codes for the Missing Links, out tomorrow. Update: All of the album spotlight shows have been removed from MixCloud. We are communicating with MixCloud to try to resolve this issue.